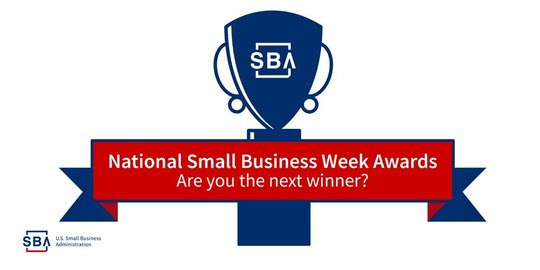 SBA’s Michigan District Office is now accepting nominations for its 2019 Small Business Awards. Winners will be honored at the Michigan Celebrates Small Business event in May 8, 2019 (https://www.michigancelebrates.biz/). The Michigan Small Business Person of the Year and the Michigan Exporter of the Year will be in contention for national awards. 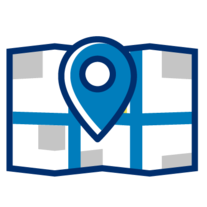 To nominate a business, submit a preliminary one page nomination letter by February 4, 2019 to Michigan@sba.gov, following Steps A and B, and briefly address the criteria for each award. Your nomination will be reviewed for eligibility and you will be notified if the nomination merits further consideration in the form of a complete nomination package. Preliminary nomination letters that do not address A, B and C will be disqualified. A. Individuals who have received one type of SBA assistance such as, but not limited to an SBA loan, SCORE counseling, Small Business Development Center (SBDC) assistance, Women’s Business Center (WBC) assistance, Veteran’s Business Outreach Center (VBOC) assistance, government contracting assistance, disaster assistance, Emerging Leaders Initiative, or Boots to Business training. B. Indicate the company’s size to ensure that it meets SBA Size Standards. Click here for more information on SBA size standards. C. Include the following information in the one page nomination letter that contains the following required information no later than February 4, 2019. Number of employees in the company. Annual sales in 2015, 2016, and 2017. North American Industrial Classification code: Click here to find your NAIC code. A brief paragraph that addresses some of the criteria for the award. The following criteria should be your guide for the one page nomination, and the subsequent nomination packages. Email one page nomination letter to Michigan@sba.gov. If you have questions, please call Hodari Brown at 313.324.3629 or e-mail Michigan@sba.gov. Once the nomination letter is submitted, the nominator will receive additional information and forms to complete and mail back to the Michigan District office by February 4, 2019. Increasing the usefulness and availability of accounting or financial services for small businesses. Experiencing the rewards and difficulties of owning a home-based business and volunteering to improve the climate for these businesses. Fulfilling a commitment to support the advancement of small business opportunities for minority business owners. Efforts to improve as well as increase business and financial opportunities for women. Improving the advancement of small business opportunities for veterans or spouses of veterans of the U.S. armed forces. Obtaining successful support within the rural community for the establishment of small businesses. Supporting and advocating for legislative or regulatory action designed to help small businesses. Improving awareness of small business opportunities.